Papermaster, situated in Port Elizabeth, specialises in creating exquisite wedding invitations, along with tailor-made stationery for your big day. This includes save-the-dates, hymn sheets, table plans, name cards, menus and thank you cards. 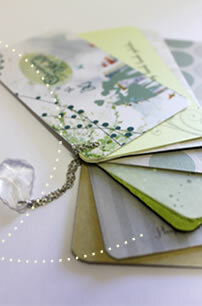 Our stationery is all personally handmade to order. 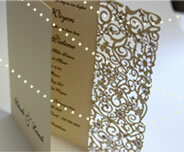 Bring us your ideas and we will design the invitation of your dreams to meet with your style and theme. Stuck for ideas, we have hundreds of samples and options in our studio to inspire and excite you. Papermaster carries a large range of beautiful paper and can also create invitations and stationery for any event for example birthdays, product launches, business cards and corporate functions. Contact us for any of your graphic design needs. For professional & personalised treatment, trust Papermaster to make your day a success from save the date to thank you cards.